On the last day of the 1995 Crow Fair in southeastern Montana I photographed five Native American dancers; Cedric Walks Over-Ice, Roy Pete, Lawrance Archie, Raymond Cree and Quincy Jackson. The images were strong and colourful and my composition showed both the power and individuality of the participants. My previous photographic work had focussed on two main themes, that of Native Americans of all ages in everyday attire within their local environment and documentation of the historical sites of the 1850-1890 Plains Indian Wars period. Photographing Powwow presented a completely different type of challenge. 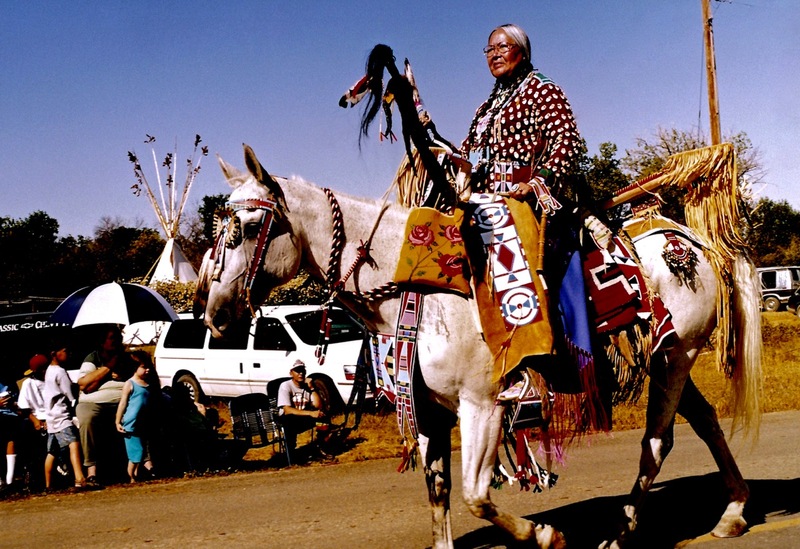 During the summer of 1996, I decided to follow up this style of photography and attended a series of powwows across the northern and southern plains. Through portraiture I wanted to focus on the individual, the theatre and the tradition and show the people of today celebrating their Native American heritage. 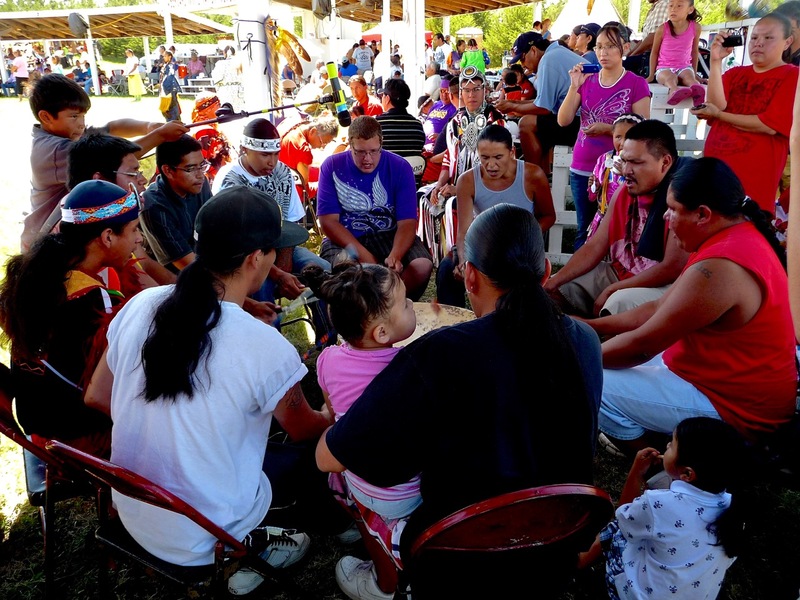 Throughout my years of researching Plains Indian Wars history and working with traditional elders I had avoided major events and had limited contact with the younger generations of native people as I thought that this work did not include them. Hindsight often proves you wrong. History and people are inextricably linked in so many ways. Time spent with many different people on the powwow trail led to the realisation that often the heroes of today’s generation were leaders such as Sitting Bull, Crazy Horse, Chief Joseph, Geronimo, Dull Knife, Little Wolf and Quanah Parker, all leaders whose careers I had studied with much interest. It soon became apparent that many of the qualities that made leaders of these men were evident in the young men of today. It was a starting point to capture the images of Powwow. To fully capture the joy and pride of spirit experienced at powwows it is important that the images be taken in a natural and dynamic environment rather than a studio. This in itself presents a series of challenges. The weather is sometimes extreme with spectacular storms and winds but most often it is relentlessly hot. 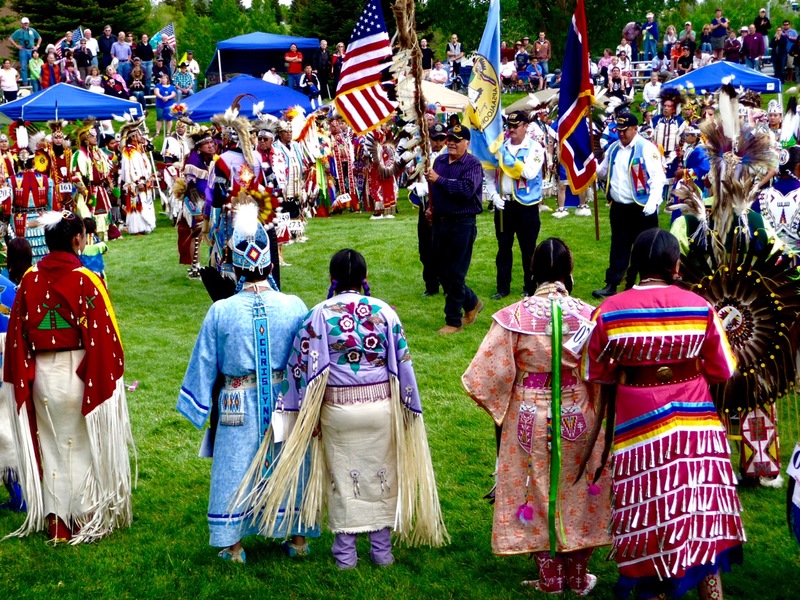 The number of dancers in traditional dress varies dramatically across each powwow it can be two hundred or simply two. Dance attire is often elaborate and of a significant weight. On average it takes two hours to dress and, if a male, face paint. The dance competition is intense with many dances requiring the participant to have the fitness level of an elite athlete. Just prior to a dance concentration is both fierce and intense. In general women are more reticent to be photographed and children often find it difficult to focus their attention even for a short time. So the opportunities to photograph in this environment are always uncertain. If all the elements in the quest for a powwow photograph come together, then the opportunity is brief, as much activity is focussed around the evening dance competition, in particular the Grand Entry. By this time light is fading, 125 speed on a full open aperture is the most common register. As the environment is so dynamic, heavy equipment and setting up a tripod is redundant, one must make introductions quickly, obtain consent, hand-hold the camera and in the fading light throw caution to the wind along with the photographic manual. Many images included in this collection were shot on a 60 or 30 speed. Throughout my journey on the powwow trail I have encountered some of the many facets of the human condition from ignorance and discrimination to tolerance, strength and acceptance. I have met many interesting characters and made firm friends with the unlikeliest of people. My one pervasive memory however is the sense of pride and hope that exists in Native America.